The development center is a new university facility that provides early education and childcare services for infants and toddlers. The building’s four classrooms open out to a 3,500 sf play yard that has defined areas for both infant and toddler play. 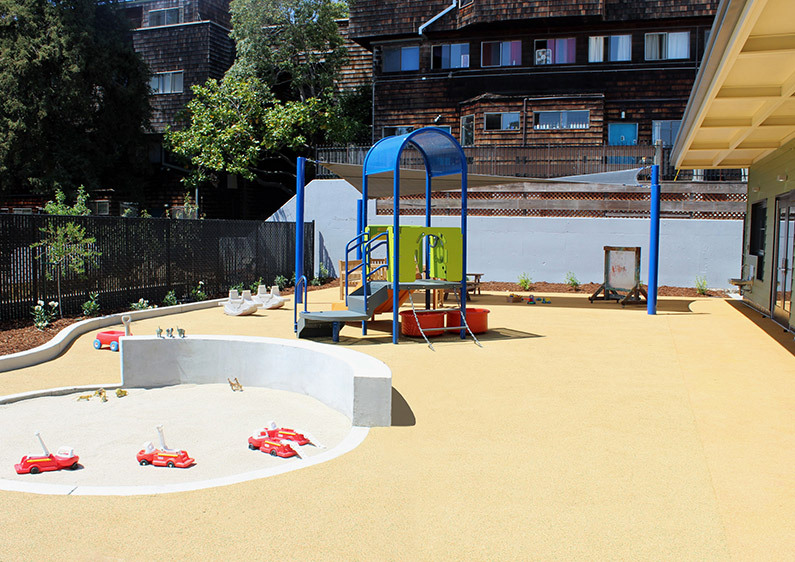 The play area was designed with age appropriate climbing structures, resilient surfacing and overhead shade structures. Landscaping includes native and climate-adapted plant species as well as new street trees along Dwight Way. 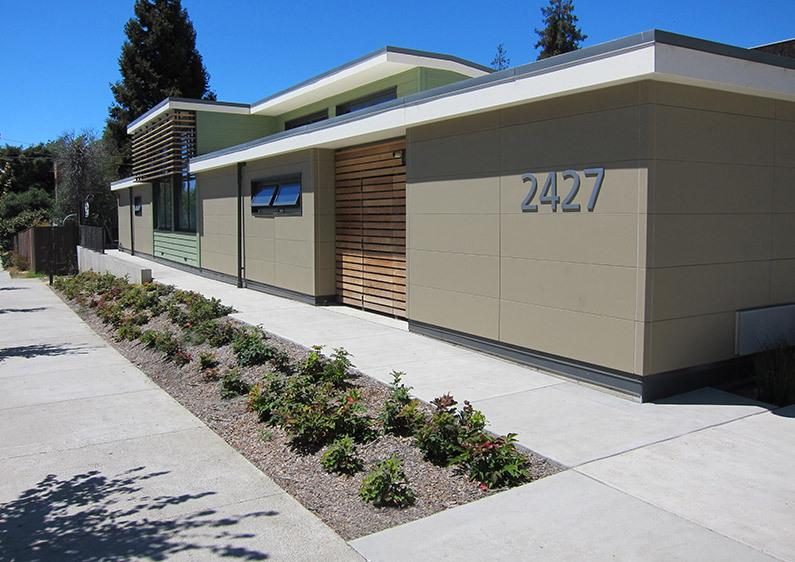 The water efficient landscaping and on-site storm water detention are two sustainable features that helped the project meet the criteria for a LEED Silver rating.